Has Condition 8503 (NO FURTHER STAY) been Imposed on your Visa? • Condition 8503 is a mandatory condition for visitor visa (subclass 600). It can also be imposed on many different types of temporary residence visas. 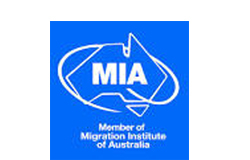 • If this condition has been imposed on your visas it means you cannot extend your stay or apply for another visa while you are in Australia (other than a protection visas or a temporary visa of a specified kind). o These circumstances have resulted in a major change to your personal circumstances. © 2015 FEN Lawyers. All rights Reserved.